Casa de’ Coronari is situated just a short distance from Piazza Navona, in an area of Rome near the Pantheon, convenient for reaching all major attractions in the Eternal City, such as the Trevi Fountain, the Spanish Steps and Via Condotti, the capital’s most prestigious shopping address. Via dei Coronari is a historic street in the center of Rome, wrapped in a romantic otherworldly atmosphere, leading into a maze of alleys that emerge unexpectedly onto a square or famous monuments. Casa de’ Coronari Suites is found in Vicolo della Palomba, a small, quiet, and characteristic alley near the famous Altemps Museum and a few meters from the beautiful Piazza Navona. The baroque Piazza Navona, adorned by fountains and the beautiful Church of St. Agnes, is one of Rome’s most typical sites. It is situated just a short walk from Via dei Coronari. The center of Rome is home to the nation’s major government institutions. One of Rome’s most beautiful streets, built according to the instructions of Pope Sixtus IV della Rovere in the 15th century. 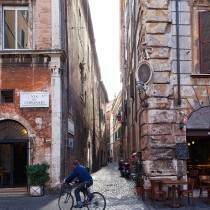 It was the first straight lined street designed to interrupt the messy maze of narrow streets that characterized Rome at the time. From Lungotevere, Via dei Coronari arrives at Piazza Navona, amidst medieval streets, Renaissance palaces and Baroque buildings. Every guest at Casa dei Coronari will enjoy the privilege of residing in the heart of Rome, one of the world’s most beautiful cities. Strolling through the streets of Rome is a unique pleasure, as one breathes the air of a great city, where history, art and culture pervade every space. An itinerary that comprises Via Veneto, Villa Borghese and the Spanish Steps, lighting up the imagination and conquering the heart of any traveler, on a par with the wonders of the Colosseum and Imperial Fora, an intact testament to ancient Rome. The Gnam, Galleria Borghese, Macro (museum of contemporary art), and the treasures of the Vatican Museums, with their truly unique works and collections, are must-see destinations for all art lovers. Rome is a city on a human scale, where the pleasures of a relaxing stroll are combined with a generous and genuine cuisine, where tradition and quality are commonplace in the restaurants of Trastevere and Garbatella, and elsewhere. 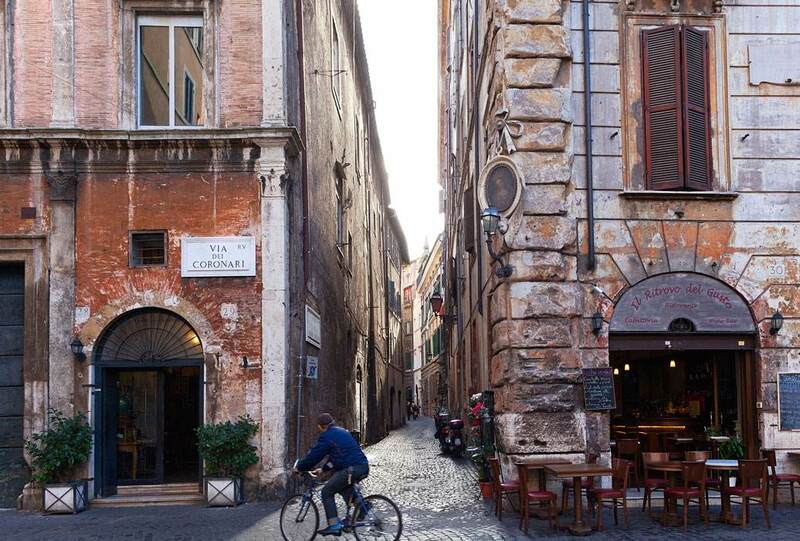 Rome offers up a wealth of bars and restaurants, serving up aperitifs or romantic meals during summer evenings, when every alley and street in Rome is wrapped in an unforgettable atmosphere. 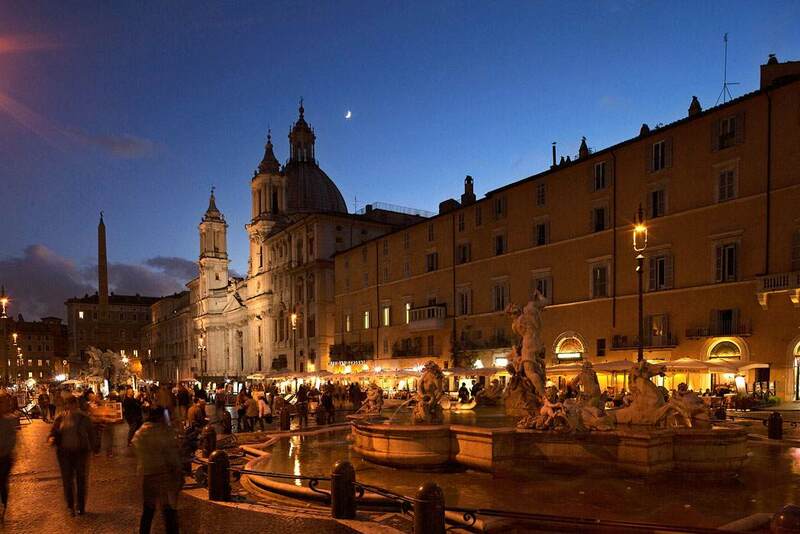 From Termini train station, take the subway to Piazza di Spagna (3 stops). Casa dei Coronari is just 10 minutes on foot in the direction of Piazza Navona, in Via dei Coronari 234. 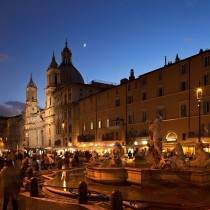 Alternatively, take a taxi or the #70 bus to Piazza Navona. From “Leonardo da Vinci” airport in Rome – Fiumicino, take the Leonardo Express shuttle to Termini train station (departure every 30 minutes, journey time 25 minutes). Alternatively, take the Terravision bus for Termini station. From Termini station, continue as described in ‘By Train’. From Ciampino airport, take the Terravision bus for Termini station (journey time 40 minutes, departures every half hour). From Termini station, continue as described in ‘By Train’. Casa dei Coronari is situated just 50 meters from Piazza Navona. Arriving from any direction, take the GRA (Grande Raccordo Anulare beltway) and follow the signs for the city center and Piazza Navona.